The spring portion of the 2017-18 Raymond Carver Reading Series begins Wednesday, Jan. 31, with poet Ada Limón. All events in the series take place in Huntington Beard Crouse Hall’s Gifford Auditorium, with a Q&A at 3:45 p.m. and an author reading at 5:30 p.m. The series is presented by the M.F.A. Program in Creative Writing in the Department of English in the College of Arts and Sciences. The events are free and open to the public. Parking is available in SU pay lots. 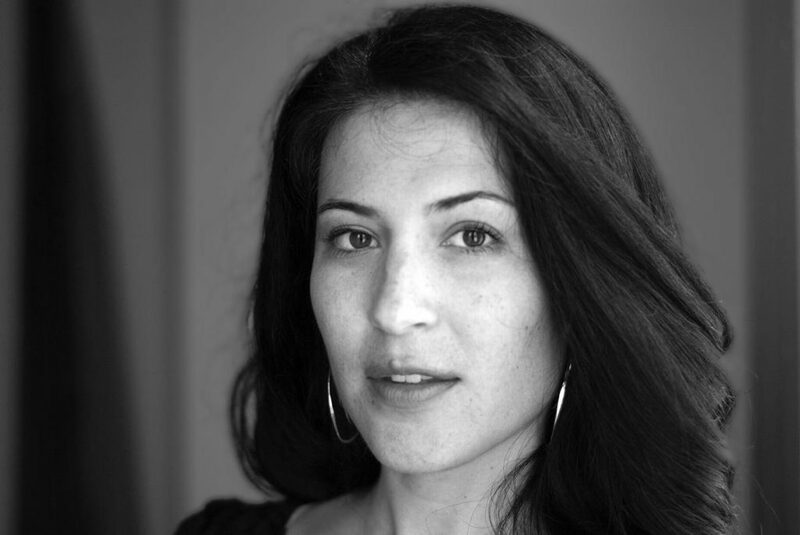 Limón is the author of four books of poetry, including “Bright Dead Things” (Milkweed Editions, 2015), which was named a finalist for the 2015 National Book Award for Poetry; a finalist for the Kingsley Tufts Poetry Award; a finalist for the 2015 National Book Critics Circle Award; and one of the Top Ten Poetry Books of the Year by The New York Times. Her other books are “Lucky Wreck” (Autumn House Press, 2006), winner of the 2005 Autumn House Press Poetry Prize; “This Big Fake World: A Story in Verse” (Pearl Editions, 2006), winner of the 2005 Pearl Prize; and “Sharks in the Rivers” (Milkweed Editions, 2010). She serves on the faculty of the Queens University of Charlotte Low Residency M.F.A. program and the 24Pearl Street online program for the Provincetown Fine Arts Work Center. She also works as a freelance writer, splitting her time between Lexington, Kentucky, and Sonoma, California. Jacob is the Spring 2018 Visiting Writer for the M.F.A. Program in Creative Writing. 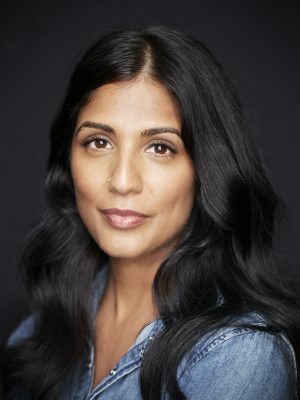 She is author of the critically acclaimed novel “The Sleepwalker’s Guide to Dancing: A Novel” (Random House, 2014), which was a Barnes & Noble Discover New Writers pick, shortlisted for India’s Tata First Literature Award and longlisted for the Brooklyn Literary Eagles Prize. The book was also honored by the Asian Pacific American Librarians Association and was named one of the best books of 2014 by Kirkus Reviews, the Boston Globe, Goodreads, Bustle and The Millions. Jacob is the co-founder of the much-loved Pete’s Reading Series in Brooklyn, where she spent 13 years bringing literary fiction, non-fiction and poetry to the city’s sweetest stage. Her recent writing and short stories have appeared in The New York Times, Guernica, Vogue, the Telegraph, Buzzfeed and Bookanista, and her earlier work has appeared in various magazines and books, on television and across the internet. Jacob has taught writing to students of all ages in New York, New Mexico and Barcelona, and she currently teaches fiction at NYU. In September 2014, she was named the Emerging Novelist Honoree at Hudson Valley Writer’s Center, where she received a commendation from the U.S. Congress. Jacob is currently drawing and writing a graphic memoir, “Good Talk: Conversations I’m Still Confused About,” to be published this year by Dial Press. Faizullah is recipient of multiple awards, including a Fulbright Fellowship, three Pushcart Prizes and the Frederick Bock Prize from Poetry. Her debut poetry collection, “Seam” (Southern Illinois University Press, 2014), won a VIDA Award, the Great Lakes Colleges Association New Writers Award, the Milton Kessler First Book Award and the Drake University Emerging Writers Award. Faizullah’s next book of poems, “Registers of Illuminated Villages,” will be published by Graywolf Press on March 6. Her poems are published widely in periodicals and anthologies in the United States and abroad; have been translated into Bengali, Chinese, Persian, Spanish and Tamil; and have been featured at the Smithsonian and the Rubin Museum of Art. She has collaborated with photographer Elizabeth Herman, emcee and producer Brooklyn Shanti and composer Jacob Cooper, and has served as an editor for Blackbird, Asian American Literary Review, Four Way Review, Orison Books, New England Review, Organic Weapon Arts and most recently, an issue of Poetry Magazine, guest-edited with Lawrence Minh-Bui Davis and Timothy Yu. Faizullah teaches in the Helen Zell Writers’ Program at the University of Michigan as the Nicholas Delbanco Visiting Professor in Poetry. Jarrett is a writer and software developer in Nashville, Tennessee. She is author of “Zion” (Southern Illinois University Press, 2014), winner of the Crab Orchard Open Competition, and “Ain’t No Grave” (New Issues Press, 2013), a finalist for the 2013 Balcones Prize. She was awarded the 2017 George Garrett New Writing Award by the Fellowship of Southern Writers. Jarrett previously won VQR’s Emily Clark Balch Prize for Poetry 2014 and was a runner up for the 2012 Marsh Hawk Poetry Prize and 2012 New Issues Poetry Prize. Her collection “The Moon Looks Down and Laughs” was selected as a finalist for the 2010 Tampa Review Prize for Poetry. 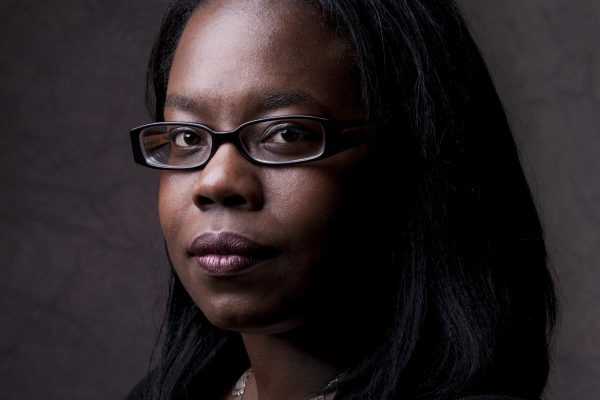 Her work has appeared in African American Review, the Beloit Poetry Journal, Boston Review, Callaloo, DIAGRAM, Poetry, Third Coast, VQR and West Branch. She has earned scholarships from the Colrain Manuscript Conference and Vermont Studio Center and fellowships from the Sewanee Writer’s Conference (2014) and the Summer Literary Seminars (2012 and 2014). Jarrett has been anthologized in “Language Lessons” by Third Man Books and “Best American Non-Required Reading 2015” from Houghton-Mifflin. 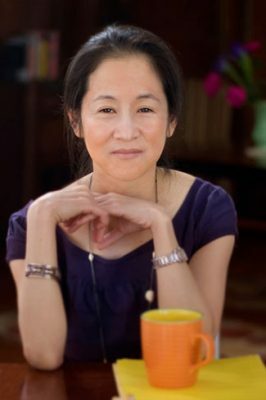 Yiyun teaches at Princeton University. She is the 2018 Richard Elman Visiting Writer in the College of Arts and Sciences. 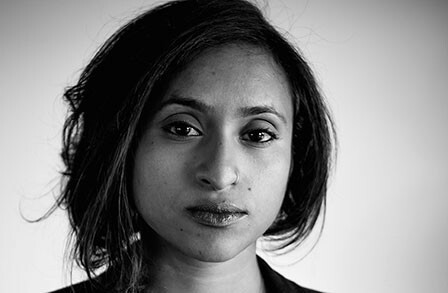 She was selected by Granta as one of the 21 Best Young American Novelists under 35 and was named by The New Yorker as one of the top 20 writers under 40. Yiyun grew up in Beijing and came to the United States in 1996. Her debut collection, “A Thousand Years of Good Prayers” (Random House, 2005), won the Frank O’Connor International Short Story Award, the PEN/Hemingway Award, the Guardian First Book Award and the California Book Award for first fiction. Her novel “The Vagrants” (Random House, 2009) won the gold medal of the California Book Award for fiction and was shortlisted for the Dublin IMPAC Award. “Gold Boy, Emerald Girl” (Random House, 2010), her second collection, was a finalist for the Story Prize and shortlisted for the Frank O’Connor International Short Story Award. Her latest novel, “Kinder Than Solitude” (Random House, 2014), was published to critical acclaim. Yiyun has received numerous awards, including the Whiting Award, a Lannan Foundation Residency fellowship, a 2010 MacArthur Foundation fellowship, the 2014 Benjamin H. Danks Award from the American Academy of Arts and Letters and the 2015 Sunday Times EFG Short Story Prize. She has served on the jury panel for the Man Booker International Prize, the National Book Award and the PEN/Hemingway Award. Her books have been translated into more than 20 languages. Otsuka is the Spring 2018 Don MacNaughton Reader in the College of Arts and Sciences. After studying art as an undergraduate at Yale University, she pursued a career as a painter for several years before turning to fiction writing at age 30. She received her M.F.A. from Columbia University. 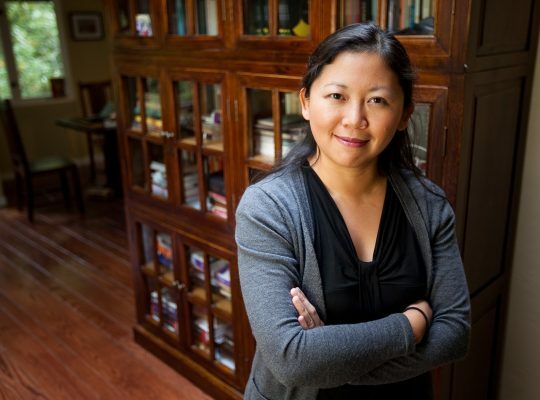 She is a recipient of the PEN/Faulkner Award, the Asian American Literary Award, the American Library Association Alex Award, France’s Prix Femina Étranger, an Arts and Letters Award in Literature from the American Academy of Arts and Letters and a Guggenheim Fellowship. She was also a finalist for the National Book Award, the Los Angeles Times Book Prize and The International IMPAC Dublin Literary Award. Her first novel, “When the Emperor Was Divine” (Knopf, 2002), is about the internment of a Japanese-American family during World War II. It has been translated into 11 languages and was a New York Times Notable Book, a San Francisco Chronicle Best Book of the Year and a Barnes & Noble Discover Great New Writers finalist, and was recently added to the National Endowment for the Arts’ “The Big Read” Library. The book is based on Otsuka’s own family history: her grandfather was arrested by the FBI as a suspected spy for Japan the day after Pearl Harbor was bombed, and her mother, uncle and grandmother spent three years in an internment camp in Topaz, Utah. The New York Times called the book “a resonant and beautifully nuanced achievement,” and USA Today described it as “A gem of a book and one of the most vivid history lessons you’ll ever learn.” It has been assigned to all incoming freshmen at more than 45 colleges and universities and is a regular “Community Reads” selection across the United States. Her second novel, “The Buddha in the Attic” (Knopf, 2011), is about a group of young Japanese “picture brides” who sailed to America in the early 1900s to become the wives of men they had never met and knew only by their photographs. It won the PEN/Faulkner Award, France’s Prix Femina Étranger and the Langum Prize for American Historical Fiction, and was a finalist for the National Book Award, the Los Angeles Times Book Prize and The International IMPAC Dublin Literary Award. A New York Times, San Francisco Chronicle and Los Angeles Times bestseller, “The Buddha in the Attic” has been translated into 22 languages. It was selected as a New York Times Notable Book, a San Francisco Chronicle and Boston Globe Best Book the Year, and was named a Top Ten Book by Library Journal and Vogue. The Raymond Carver Reading Series is supported by the College of Arts and Sciences, Stephen King, the Dr. Scholl Foundation, the Lynn & David Pleet ’53 Fund for Creative Writing, the Richard Elman Visiting Writer Fund, the Friends of Creative Writing, Chris Tennyson, Jerome Cohen, Jane and Daniel Present, Don McNaughton, and the Interdisciplinary Fund for the Humanities from Leonard and Elise Elman.